Soul Legend James Brown Helped Shoeshiner 'Get On The Good Foot' As a young man in Virginia, Earl Reynolds once shined James Brown's shoes. And that chance meeting helped prod him into making a tough choice about his own future. For a while, Brown's advice even led to a rift between Reynolds and his father. Earl B. Reynolds spoke with his daughter, Ashley Reynolds, in Roanoke, Va., about how a chance encounter with singer James Brown helped prod him into a new plan for his life. Earl B. Reynolds Jr., 60, grew up in Roanoke, Va., where his father cut hair in his own store, the Virginia Sanitary Barber Shop. And as a little boy, Earl often shined customers' shoes in the shop. As Reynolds tells his daughter, Ashley Reynolds, a visit from the Godfather of Soul set him on a path in life that eventually put Earl at odds with his father. Working in the store one day, Earl watched a tour bus pull up to a theater near the shop. The doors opened — and out stepped James Brown. "He immediately walked over to my dad's barbershop, and he just started shaking hands and talking to people," Earl says. "And he looked down at me, and he said, 'You must be the bootblack.' In barbershop vernacular, that is, 'You shine shoes.' "
Brown wanted a shoeshine from the young man. "Of course, his shoes were already shined; he was immaculate, from head to toe," Earl says. "So I went through the process of re-shining his shoes, and he got off the shoeshine stand, and he handed me a $5 bill," he says. "And he told me that back in his hometown, he started out shining shoes." Earl remembers Brown telling him, "It's an honorable profession, it's good work. You just need to think about, now, what else you want to do with your life?" 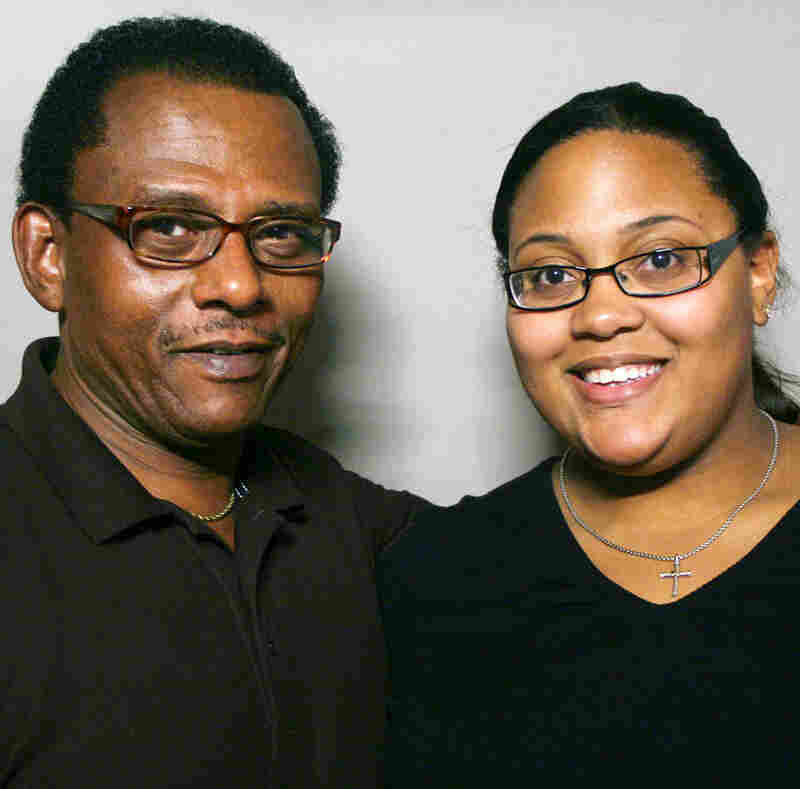 "That was my first step along to my education," Earl says. 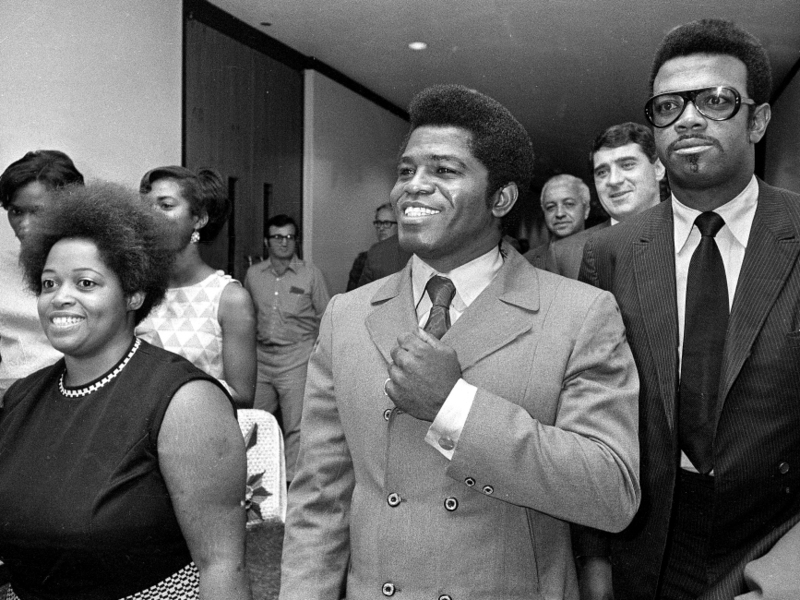 Soul singer James Brown (center) is seen in California in this 1969 file photo. A few years earlier, Brown paid a visit to Virginia, where he gave some advice to Earl Reynolds Jr.
Before the soul singer's visit, Earl's father had been planning to pass the family business down to his son. "I know that your granddaddy was counting on me to take over the barbershop," Earl tells Ashley. "I'm his son — his only son — and he was grooming me for that." Earl had other plans for his future — he just had to get up the nerve to tell his father about them. "One day I had this big announcement to make to your granddaddy," he tells his daughter, "that I wanted to go to college, and not take over the barbershop. "And for months, your granddaddy did not speak to me. That's how big his disappointment was." But Earl stuck to his plan. "I applied to colleges and universities on my own; I had to learn how to fill out forms on my own," he says. "And I got a letter from Fayetteville State Teachers College ... saying that 'We'd like for you to come.' "
The school, in Fayetteville, N.C., was about 200 miles from Earl's home in Roanoke. "I remember piling into your Uncle James' station wagon," he tells Ashley, "and they took me down there and dropped me off. And I watched them drive away. And I said, 'OK, now what are you gonna do?' "
As it turns out, Earl graduated at the top of his class. "And granddaddy came to graduation," Earl tells his daughter. "Well, as you know, one of his famous sayings was, 'Life is a process of adjustment.' So when your late grandma told me he was coming, I knew that we had reconciled. We had finally bridged that gap." Earl Reynolds Jr. went on to become the director of community development in Danville, Va. 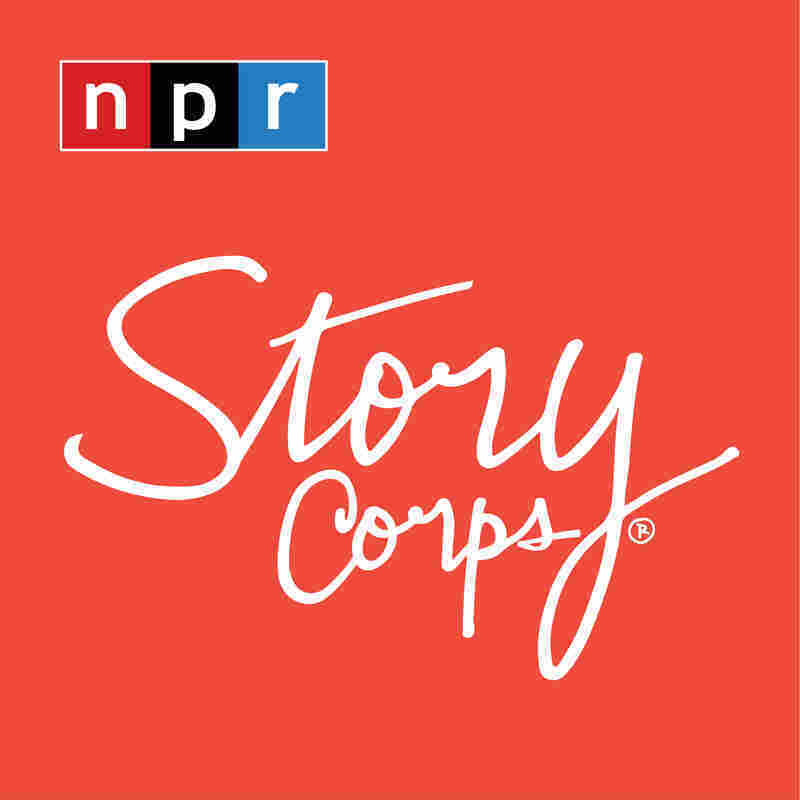 Audio produced for Morning Edition by Nadia Reiman. Recorded in partnership with WVTF.